In the face of massive and growing data heterogeneity we take the approach of flexible and adaptive universal connectors as the traditional approach of creating connector after connector fails to scale. For large data volumes, files are one of the most effective and efficient ways to move data. No matter how you get your files, Nexla has a way to support it FTP, SFTP, S3, Dropbox, Box, Email Attachments. 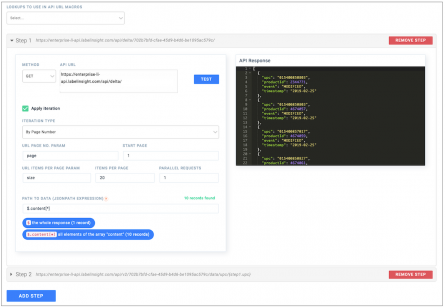 A powerful interface to API based data sources with ability to connect to almost any REST or SOAP API without need for a pre-configured connector. Simply bring your credentials and get started. Out of box support for various API authentication mechanisms including Oauth, HMAC, JWT, as well as basic and header based authentication. The API engine supports multi-level iteration and chained API calls. 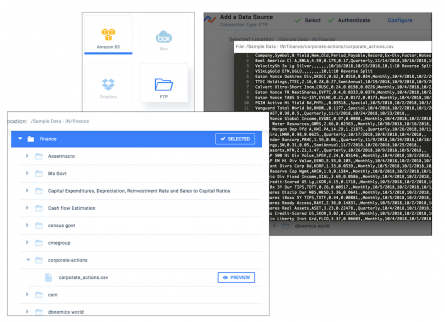 Easily setup your configuration and let Nexla start to manage the data connection with automated support for handling rate-limits and optimizing throughput. 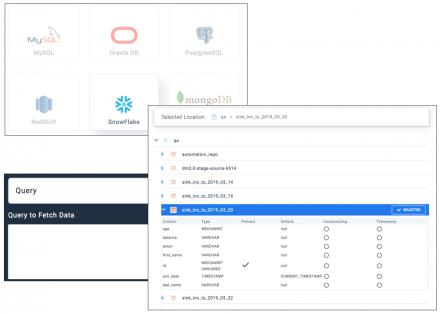 Connect with MySQL, Postgres, Redshift, or Snowflake as a source of data. Nexla provides change detection, incremental loading, bulk loading and query based loading of data. While the user gets a unified experience, under the hood we optimize dataflows to each specific database.